According to statistics, Filipino nurses are very active in looking for better opportunities in the US. In fact, even as early as high school, many are set to make nursing their ticket out of the country and for some, out of poverty. However, earning one’s nursing degree and acquiring their Philippine license are just some of the first few steps before they realize their dream. Aside from having the required work experience, there are additional certifications and licenses needed to be able to practice in the US. Aside from investing time and effort, there is also a substantial amount of money needed to facilitate and complete the requirements. Raphael Macapagal, President and CEO of Ascent, shared that he was moved with what he saw before that there are 2,000 registered nurses in the Philippines who do not have work. Being a seasoned professional in the Business Processing Outsourcing (BPO) sector who managed and led companies connected to different verticals including healthcare, he saw the opportunity to bridge the gap recognizing that there are hundreds of thousands of nurses needed in the US. “The missing piece is the US license, and this is where we come in,” Macapagal pointed out. A 100% Filipino-owned and managed recruitment, consulting, and Business Process Outsourcing (BPO) company, Ascent is making it possible for Philippine-registered nurses to turn this dream into reality. Established in 2015, Ascent is making it its advocacy to not only pave the way for our Filipino nurses to achieve their goal of working in the US but also hoping that, in the process, be able to encourage them to choose to stay in the Philippines. Ascent believes in the value of being with your Family is more precious than any money. Through the expertise of the company’s executive team, headed by Macapagal, Ascent is able to design a product that can shoulder qualified Filipino nurses to undergo the process and required tests that will allow them to acquire their US license. Through their partners, they will be also be able to provide free review until their licensure exam plus, provide them employment so they no longer need to worry about their source of income. “This is a unique scheme and we are happy to pioneer and be able to help our skilled and deserving Filipino nurses. Through the plan that we designed, all they need to worry about is passing the exam,” he stressed. Ascent will be processing the papers on behalf of the applicants. Simultaneously, they will be employed in one of Ascent’s partner BPOs where they will be trained and gain experience. He explained that they hope to address and correct the misconception connected to nurses working in the BPOs. Some have the notion that working in the BPO is not doing nursing work. In reality, their scope of work is highly related to healthcare. They do clinical work, only remotely. After the Filipino nurses gain their US license, Ascent requires them to work with their partner organizations for two years. “Being a US registered nurse will definitely give them a premium and this will reflect on their salary when they go and work with our partner organizations. We hope that through this effort we can convince them that there is an opportunity here in the Philippines. They don’t need to leave. Here, they can experience working in the US with a premium salary without having to leave their family and loved ones. There are opportunities in the Philippines,” he said. Nevertheless, Macapagal added, if after two years they will choose to leave and work abroad, Ascent will also help them with opportunities through their connections in the US. 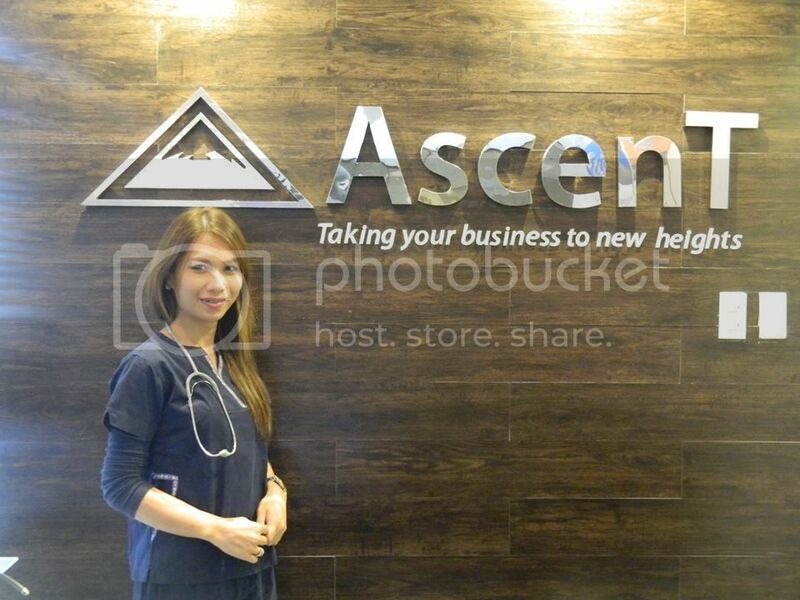 If you want to learn more about Ascent and how to be part of their nursing pool, visit ascent.net.ph or call 534-0033.